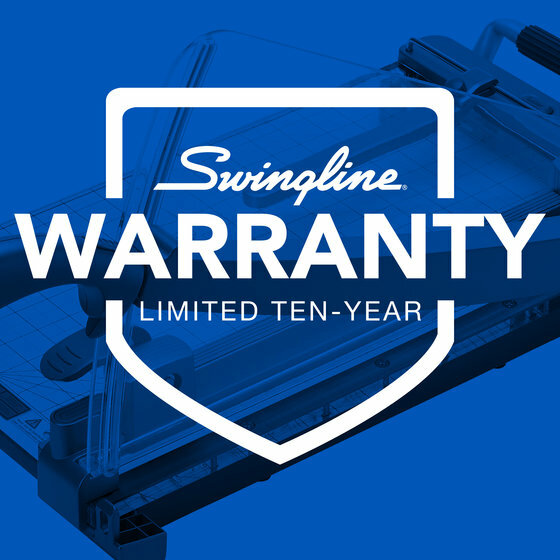 Swingline® sets the standard in stylish office supplies with the new Infinity™ ClassicCut® Acrylic trimmer. 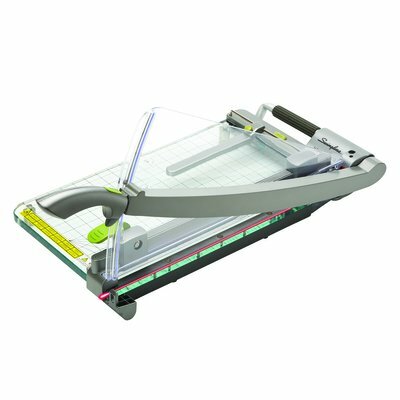 Guillotine style trimmer is crystal clear in color, resembling glass, and has a red laser light to illuminate the cutting line. 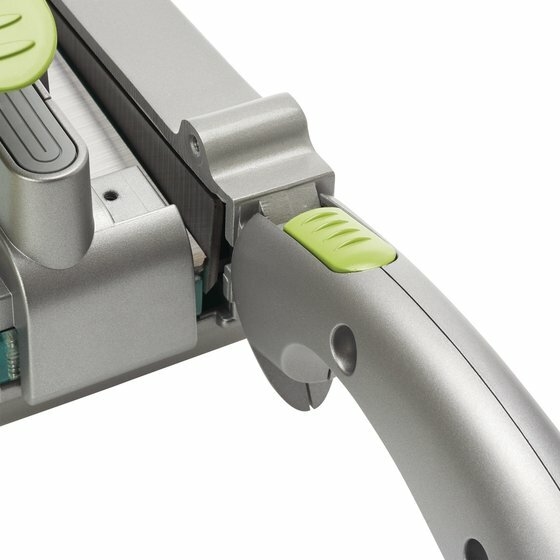 Chic and modern, the Infinity™ ClassicCut® trimmer is completely see-through. 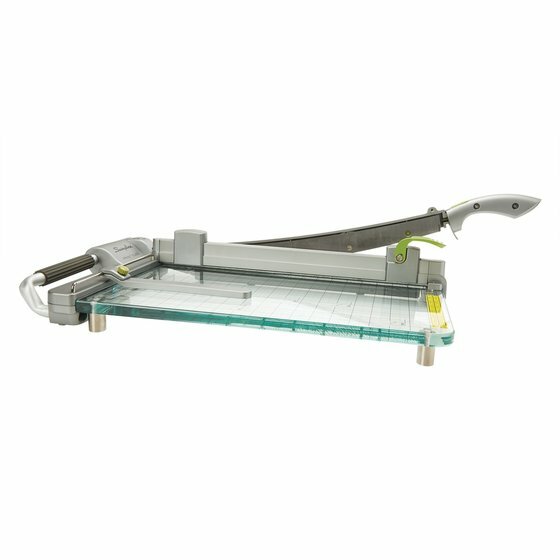 The clear acrylic is thick and durable to provide a sturdy cutting base for all your trimming projects. 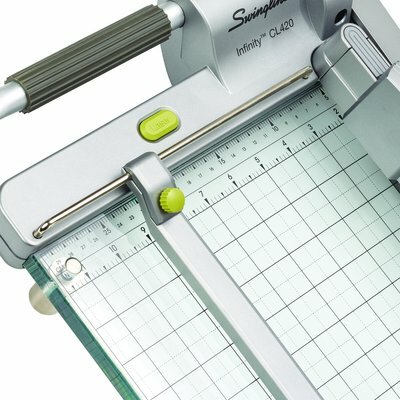 With paper size guides and ruler markings featuring both inch and centimeter measurements you can get a straight edge on all your projects, plus leave the trimmer out when not in use without distracting from contemporary office décor. 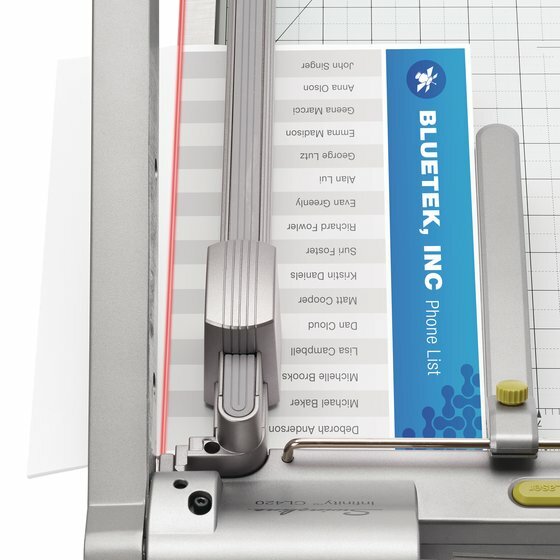 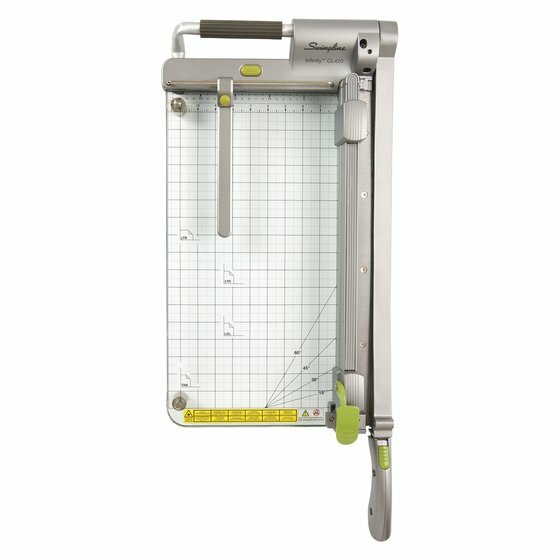 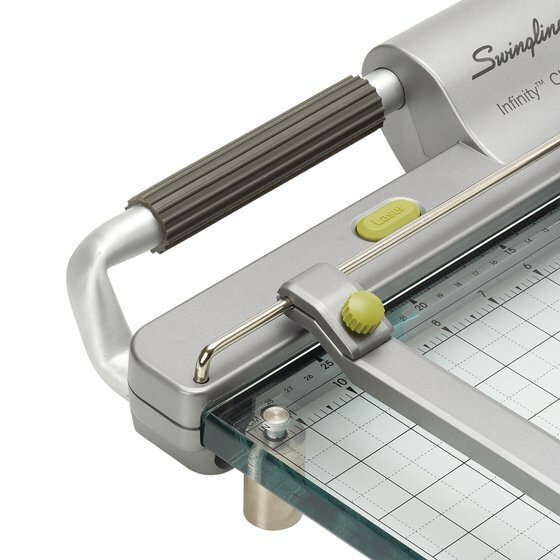 The classic guillotine paper cutter has never gone out of style. 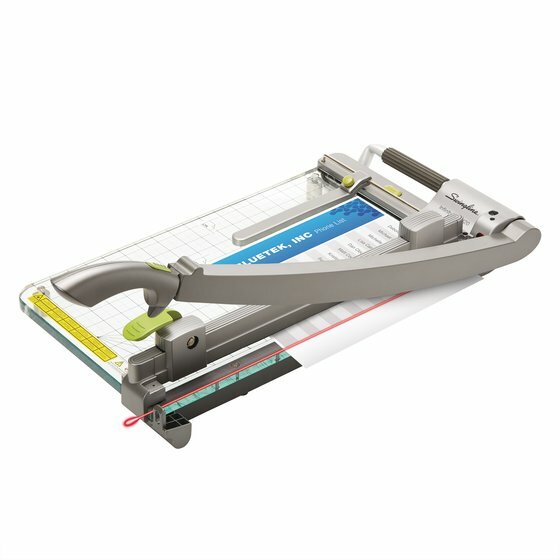 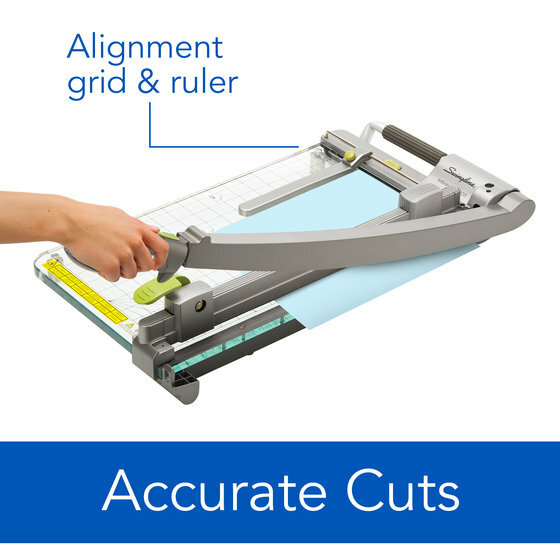 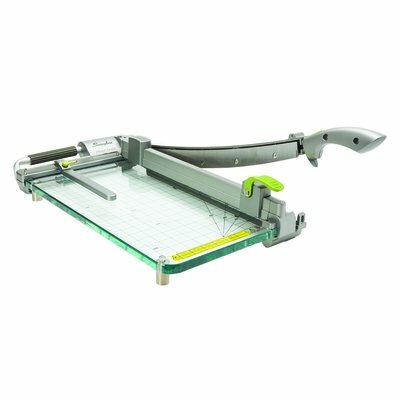 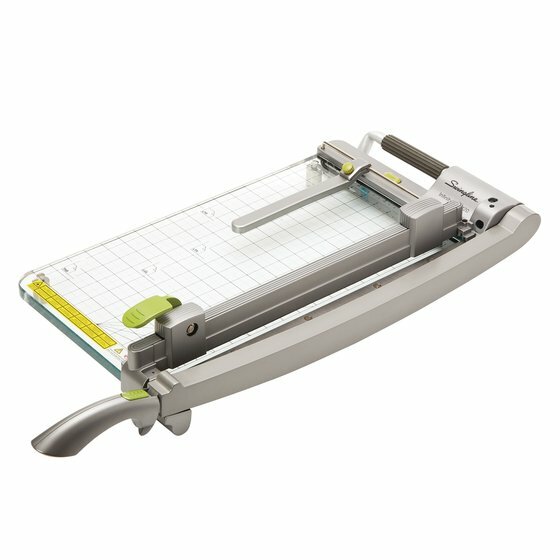 Reliable and easy to use, this guillotine trimmer has a self-sharpening blade that can cut through 25 sheets at once. 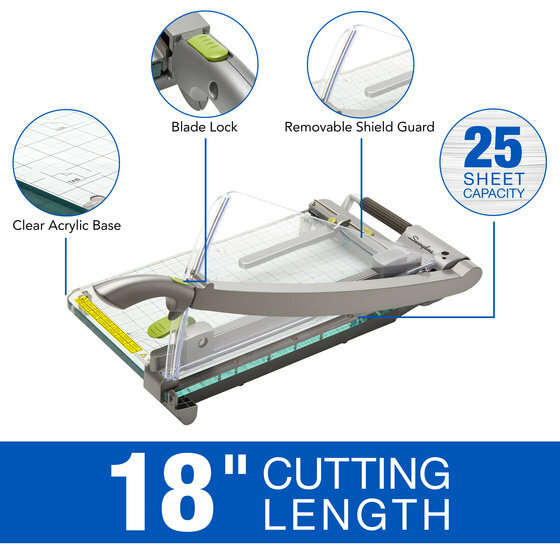 Available in two cut lengths: 15” and 18” to meet your needs. Carrying handle is also included to safely take the guillotine trimmer with you on the go. 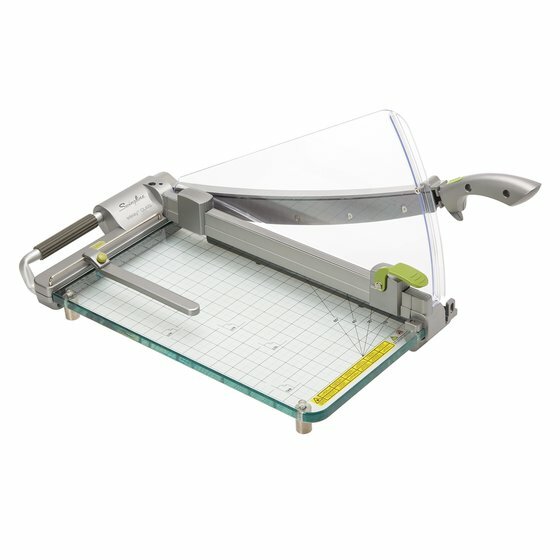 Acrylic paper trimmer facilitates perfect cuts with a red laser light. 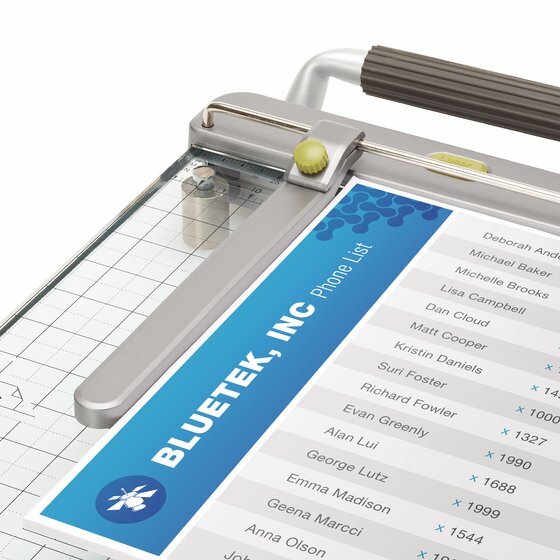 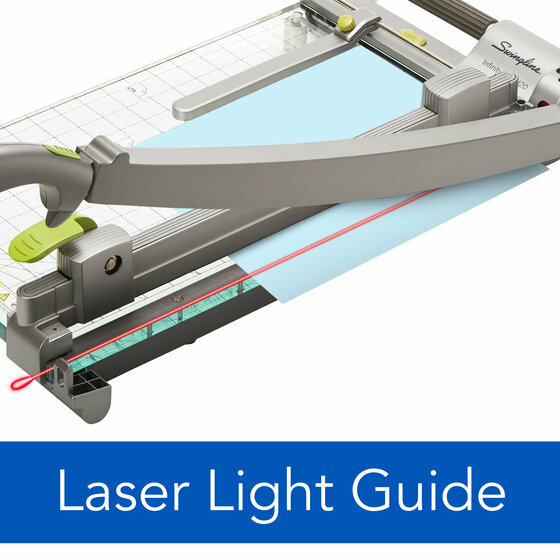 The laser illuminates the cutting line so you can clearly see exactly where on the paper the blade will land. 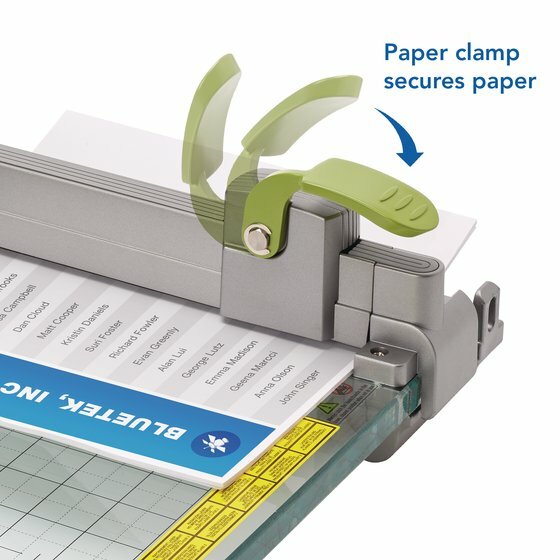 Plus, this trimmer ensures safe paper trimming with a removable, protective cutting shield and blade lock mechanism.